Say hello to the new iPhone 7 and iPhone 7 Plus (PRODUCT)RED Special Edition. The new colourway you'll DEFINITELY WANT. 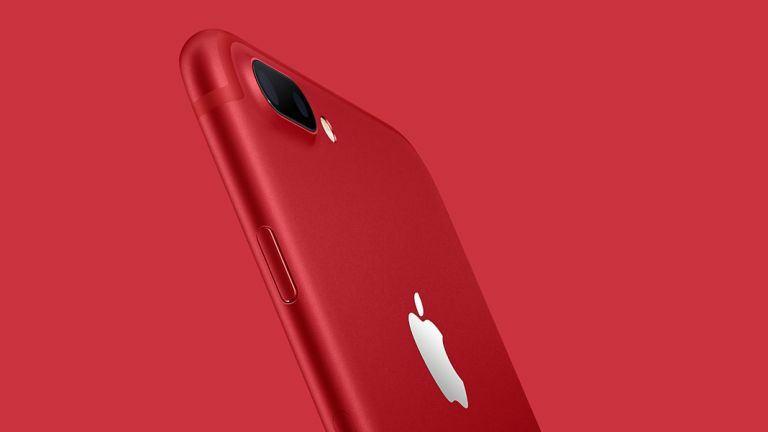 The new smartphone is finished in vibrant red aluminium in recognition of more than 10 years of partnership between Apple and the charity (RED). The special edition (PRODUCT)RED iPhone will be available to order online and in stores beginning Friday, March 24. It will be available in 128GB and 256GB models starting at £699. Apple has also announced that the wonderful iPhone SE will be available with double the memory, in 32GB and 128GB variants. All of the UK networks have been in touch to confirm they'll be selling the (RED) iPhone 7, including EE, Three, Vodafone, Virgin Media, Carphone Warehouse and GiffGaff. Check out the Carphone Warehouse iPhone 7 deals as well as our main iPhone 7 deals page. Since it was founded in 2006, (RED) has generated more than $465 million for the Global Fund, with more than $130 million from Apple alone. Alongside the new colourway, Apple has announced a new app called Clips, which is a "fun, new way to create expressive videos on iOS". You can create multi-clip videos without timelines, tracks or editing tools. Touch and hold a single button to shoot live video and photos, or add them from the Photo Library. Then you can add filters, bubbles, shapes or emoji before sharing them. The company has also updated its non-Pro iPads, too.